Calling all Hufflepuffs, Ravenclaws, Slytherins and Gryffindors! This Halloween, Dental Health Associates of Streetsboro will be transformed into Hogwarts School of Witchcraft & Wizardry, complete with artwork created by Dr. Kremser and his two sons. For three years Dr. Kremser’s oldest son, Luke, has had a Harry Potter-themed birthday party. 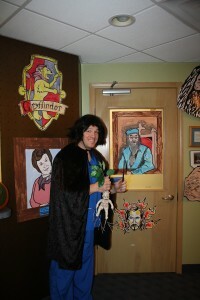 And to set the tone for the party, Dr. Kremser has used his artistic skills to create dozens of images from the movies, including portraits of favorites such as Severus Snape and Professor Dumbldore, as well as action shots of a quidditch-playing Cedric Diggory and an exceedingly pompous author Gilderoy Lockhart. 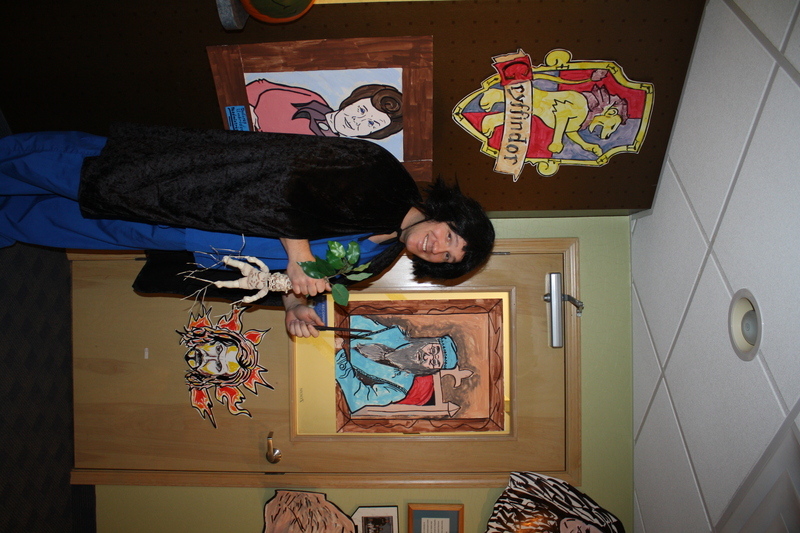 Now all that artwork will be brought to Dental Health Associates of Streetsboro, or should we say, of Hogwarts. If you are a Harry Potter fan, make your appointment now so that you can walk through the office and see the books brought to life. Be sure to come prepared with trivia from the Harry Potter books and movies in an attempt to confound Dr. Kremser, our resident Professor of Dentistry… and Magical Creatures.